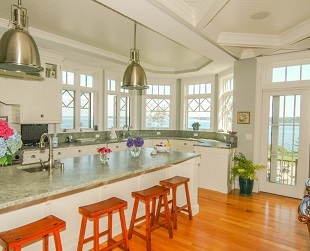 Maine Custom Home Builder Russ Doucette's key skill is listening. He and his staff are expert builders and designers, with over 25 years of experience building custom homes in Southern Maine. These houses vary from the cozy, to modern, and exquisitely grand. They are built in cooperation with architects or from Russ' own designs. They include everything from homes with extensive outbuildings to summer cottages, renovations and additions. Projects are large and small. But no matter the scope and scale of the project, everyone at Russ Doucette Homes takes pride in understanding the unique wishes and personal perspective of every client. Our entire crew is attentive and available. 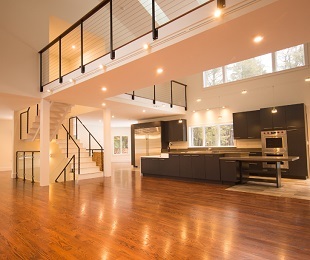 We make personalizing your custom home the critical element in designing, constructing and finishing a residence. Discovering and expressing our client's individual preferences and style is at the heart of what we do. With Thanksgiving approaching, a very important thank you is long overdue to Russ Doucette and his team. Six months ago because of their outstanding craftsmanship and emphasis on communication, as well as their integrity and honesty, the perfect house was built for us. We are rather seasoned homeowners and were not expecting the building of another new home to go so smoothly. This was the fourth house we have built. Living in Massachusetts while building this house in Scarborough, Maine was never a problem because Russ and his foreman Tim always kept us informed. After the decision making was complete we felt completely comfortable leaving the building process in their hands. Weeks would go by between our trips to check on the house and we were always amazed and delighted with the progress and fulfillment of our ideas. Over the months while the building was taking place we felt a bond of friendship grow between Russ, Tim and others who had worked on the house. It was truly a pleasurable experience to build this home with such a caring group of people. Recently I read a quote which describes Russ Doucette and his company. “The quality of a man’s life is in direct proportion to his commitment to excellence regardless of his endeavor.” We will always feel proud and grateful that Russ Doucette and his team built our wonderful home. 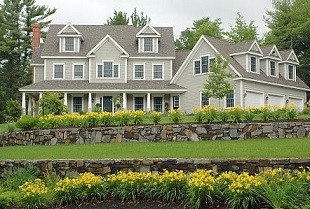 For more about Russ Doucette Homes please visit www.RussDoucetteHomes.com or call us anytime at 207-883-3518.